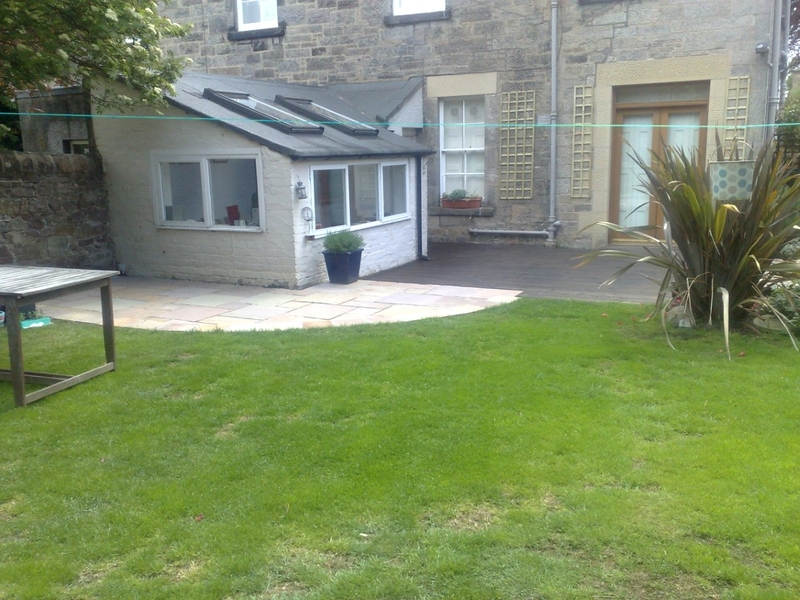 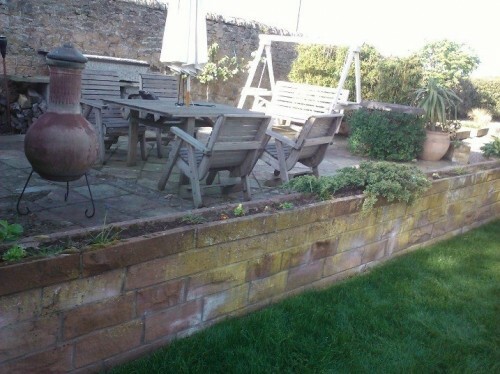 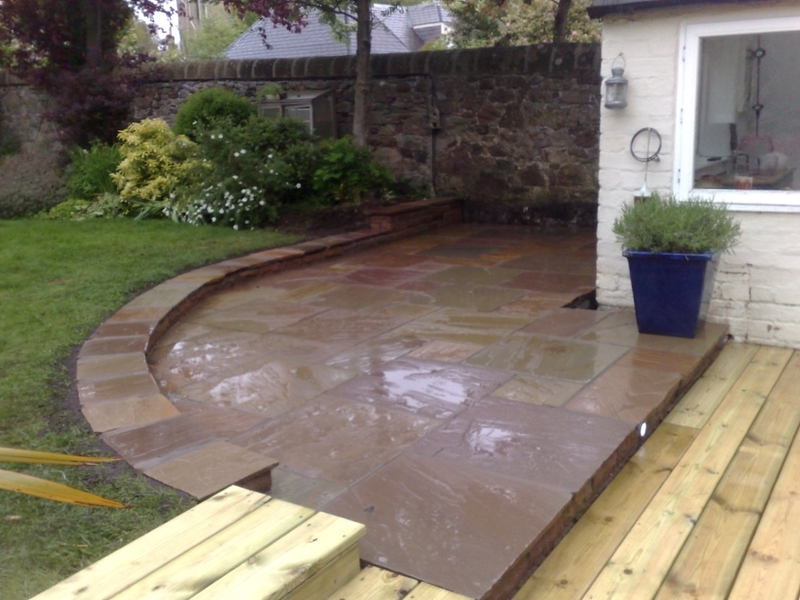 Landscape Gardeners Edinburgh-Call David 0n 07958995739 for a free , no obligation quote. 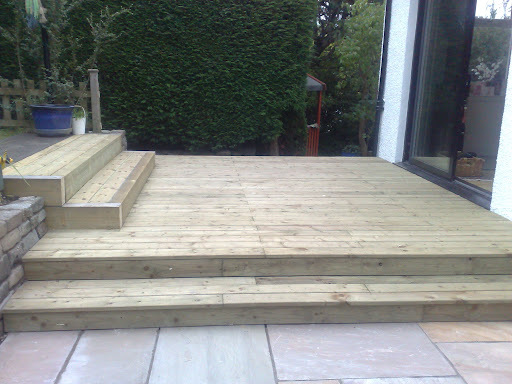 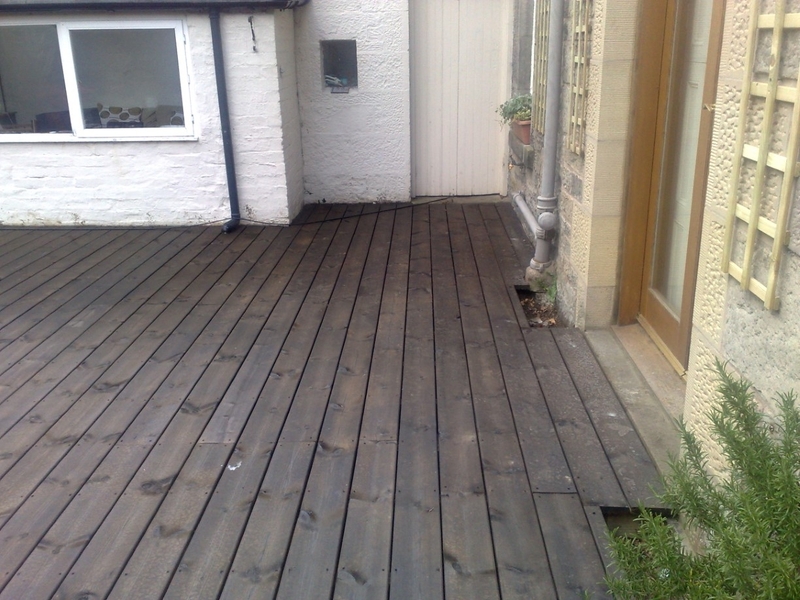 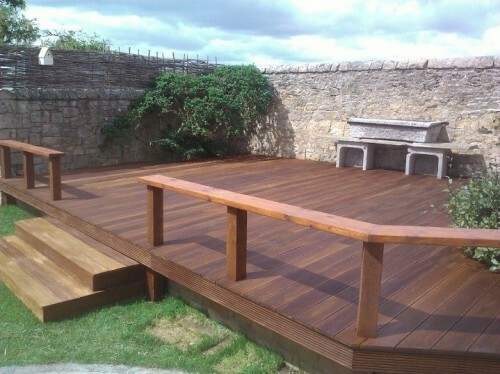 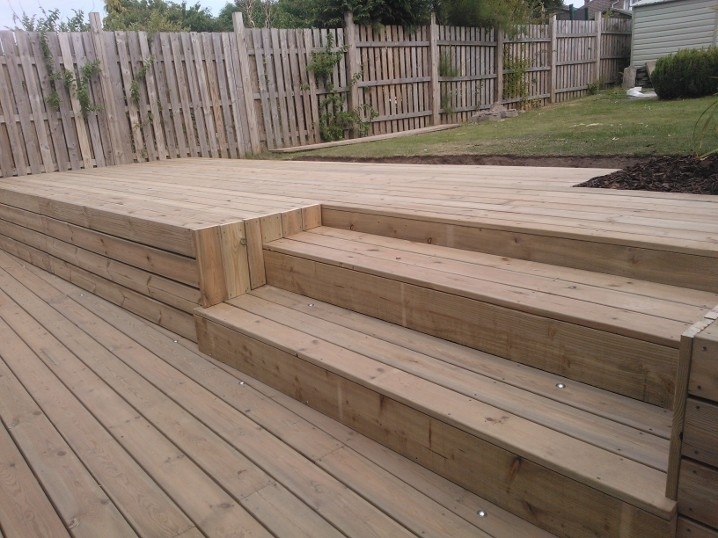 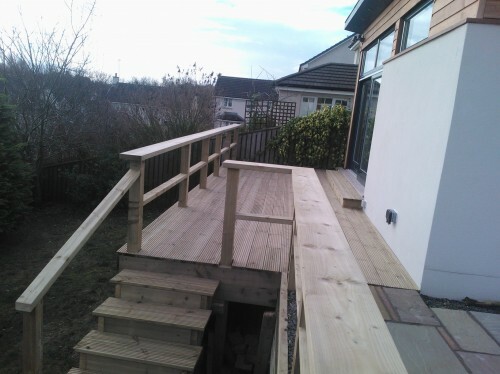 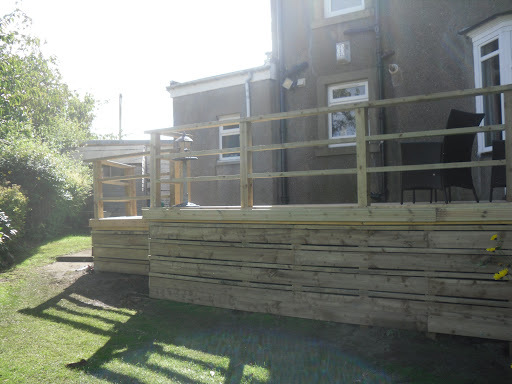 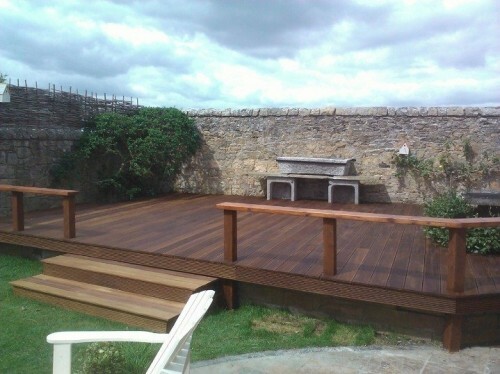 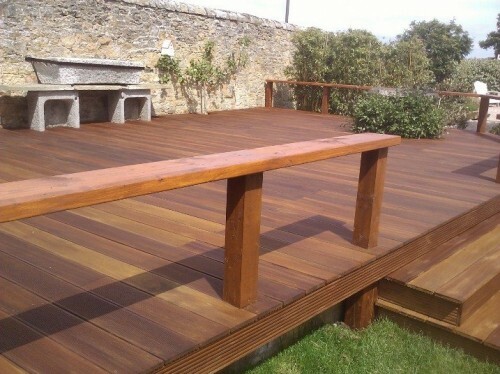 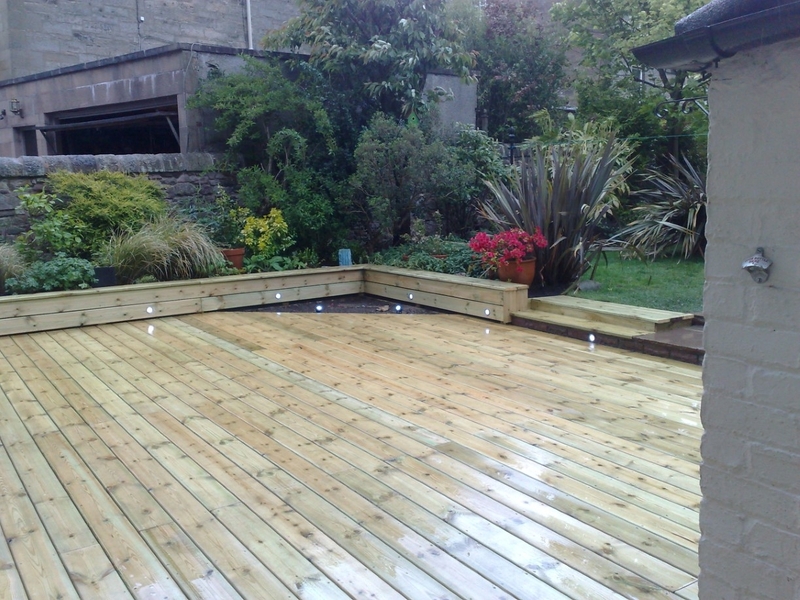 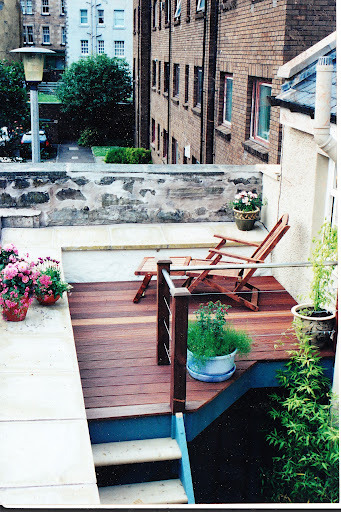 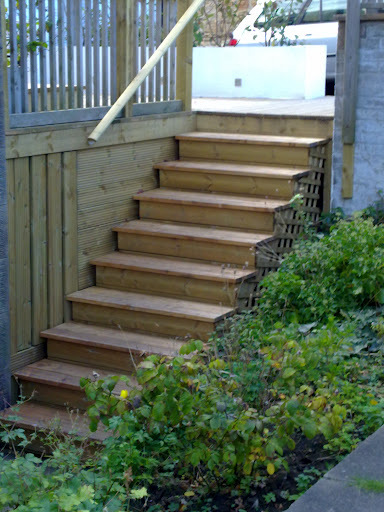 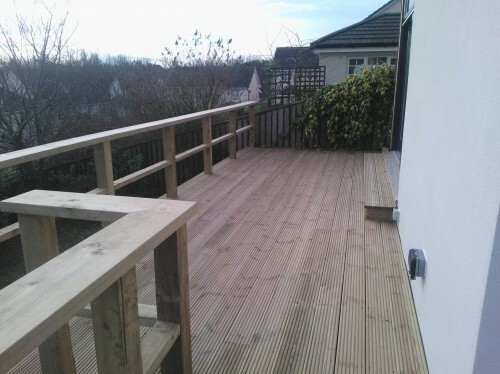 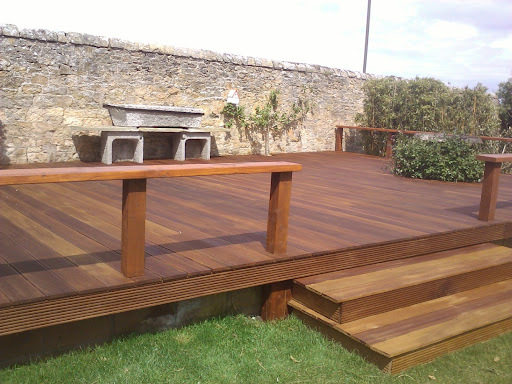 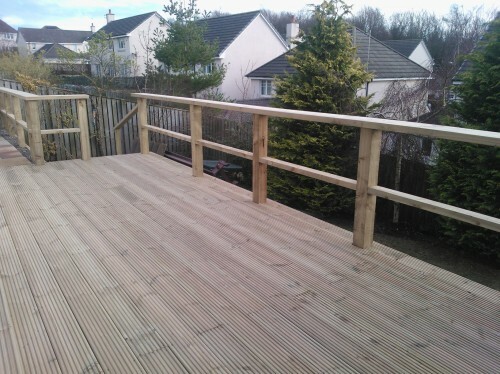 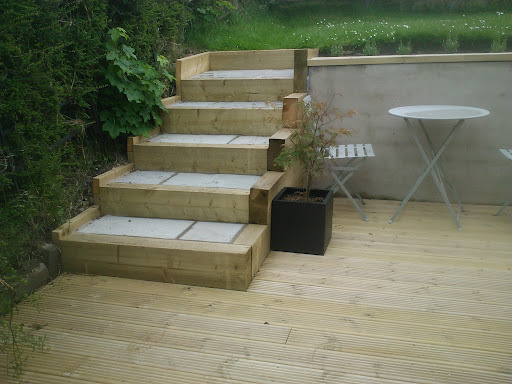 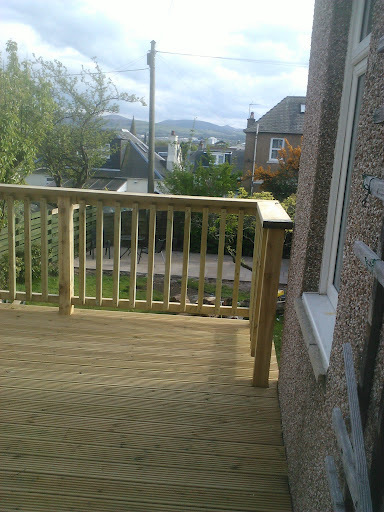 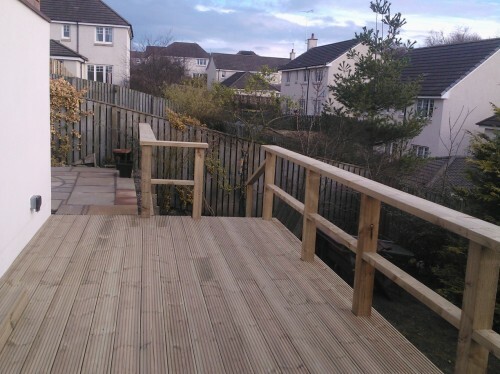 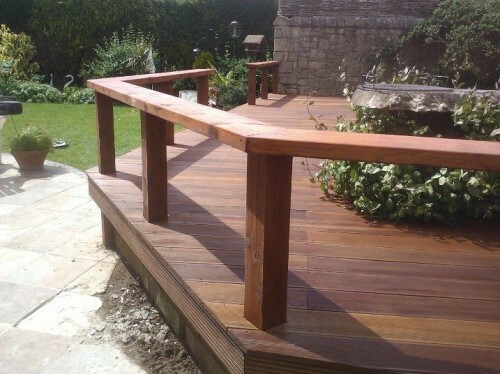 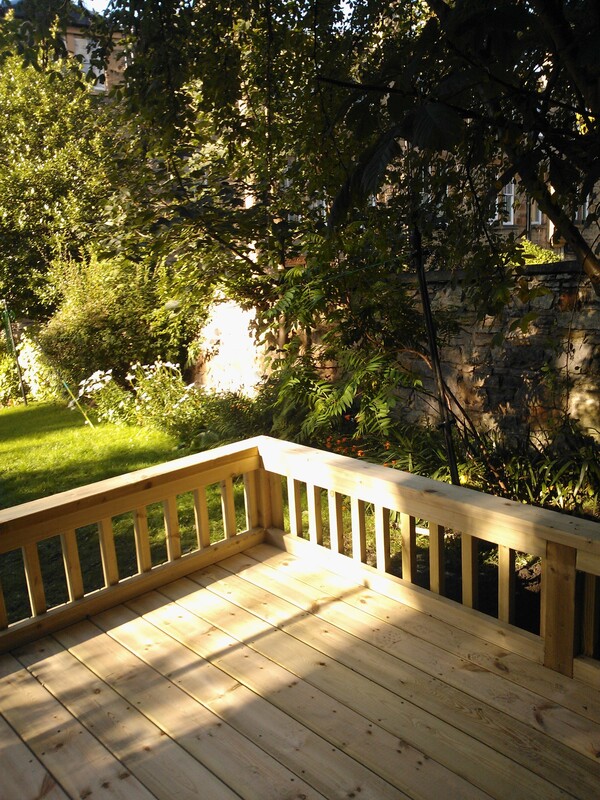 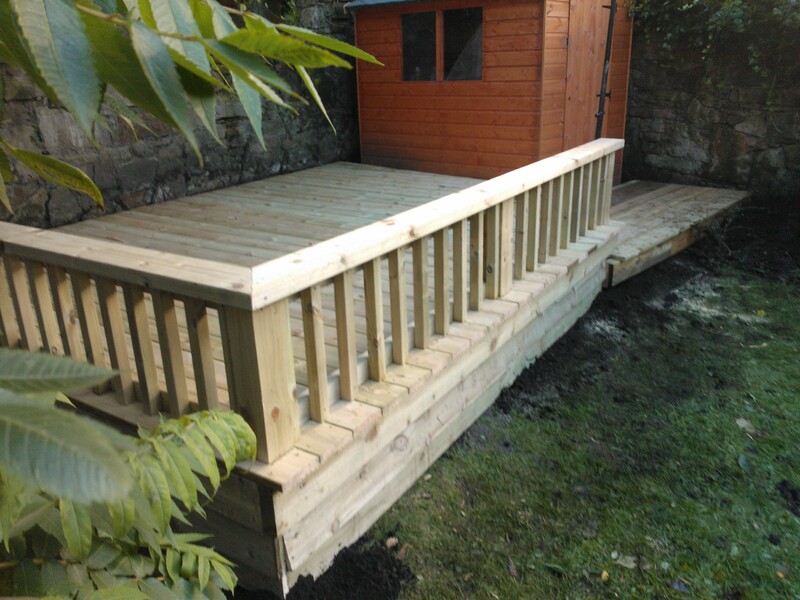 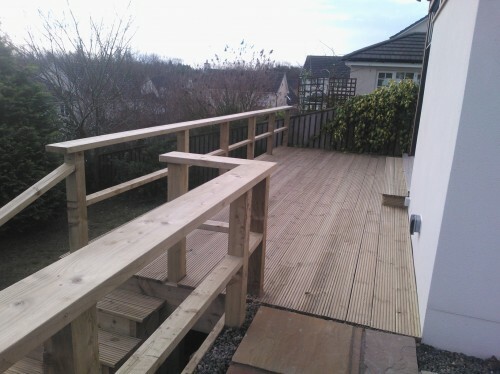 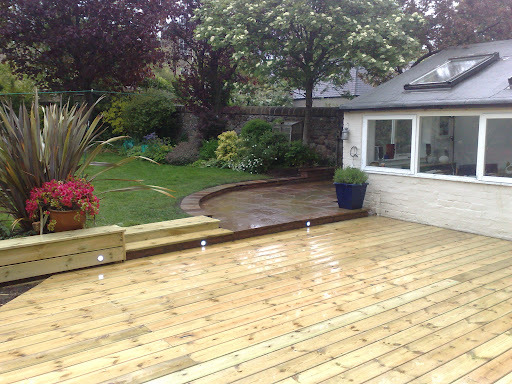 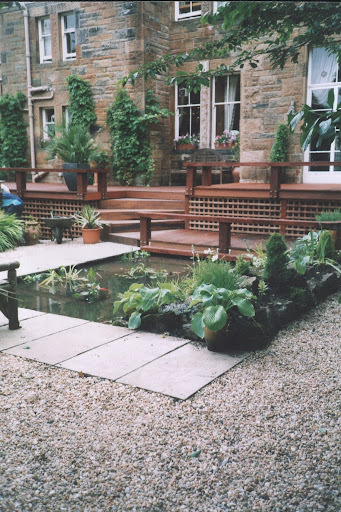 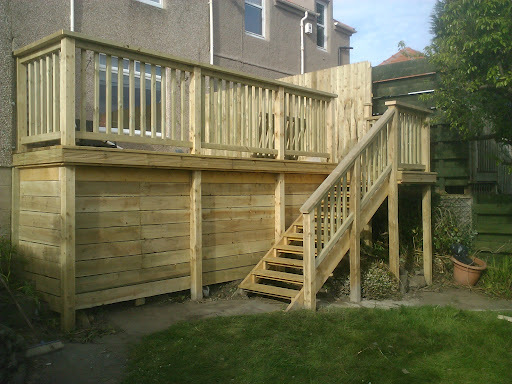 Here is a Garden Decking project in the Grange, Edinburgh. 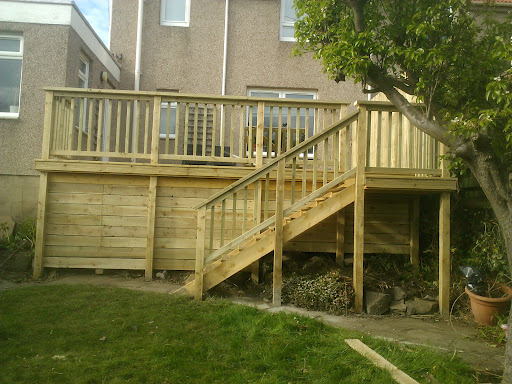 Have a look at a selection of pictures showing the work. 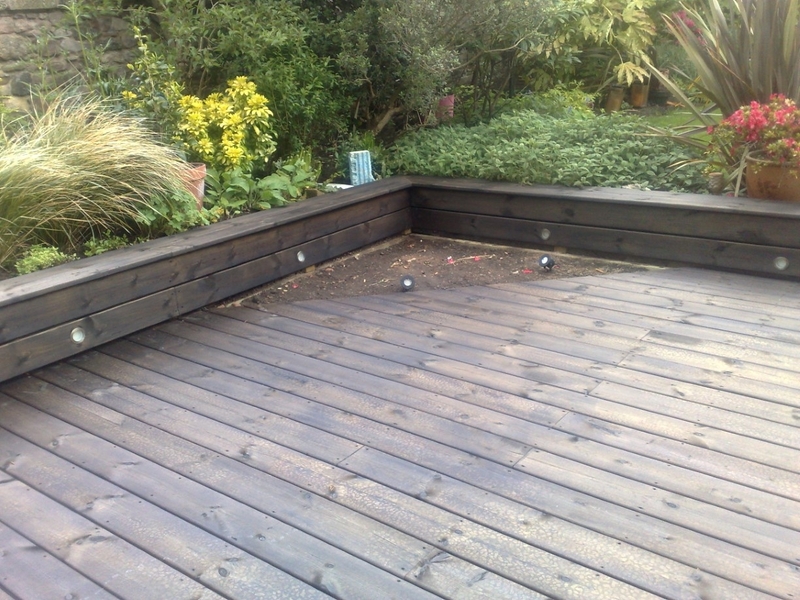 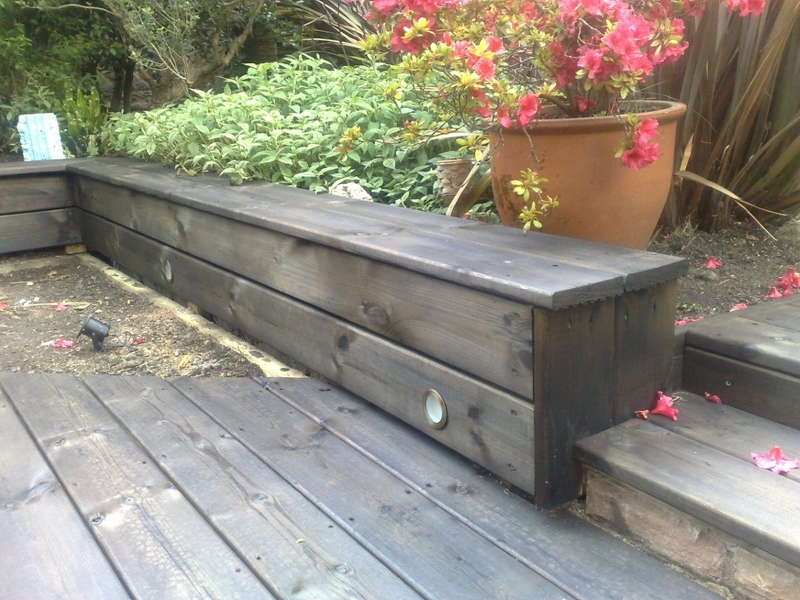 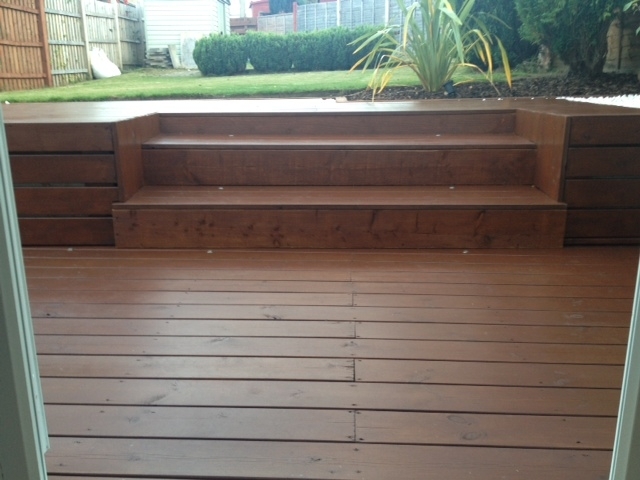 Note the decking is installed unstained, and then stained in situ to an ebony colour as requested by client. 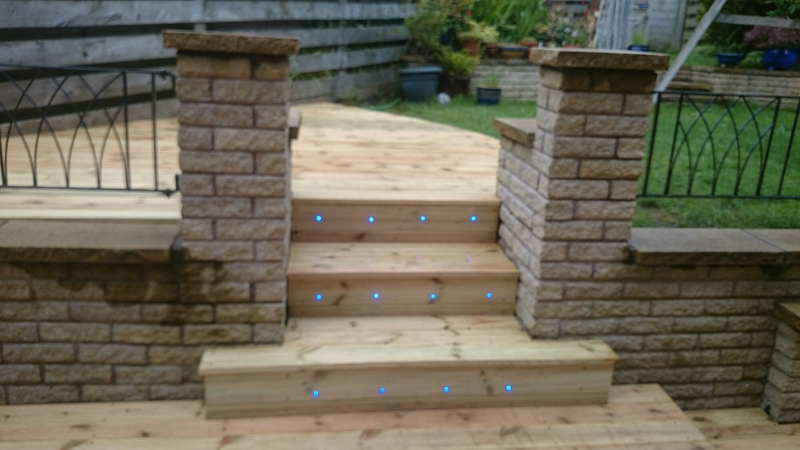 We fitted a bench seat to perimeter of the Decking and installed low voltage l.e.d lights to the front facings and also into steps. 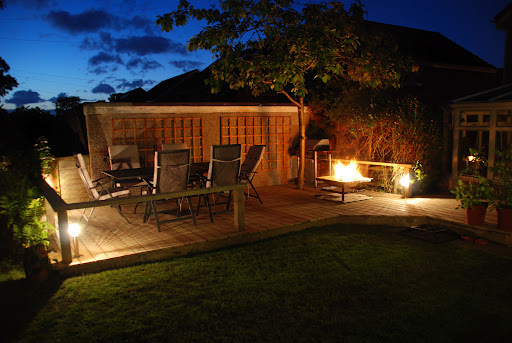 We also added a patio area for barbecuing. 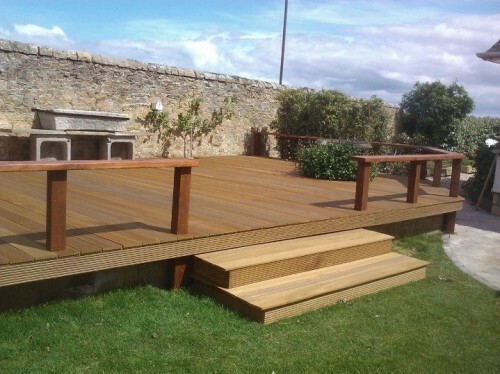 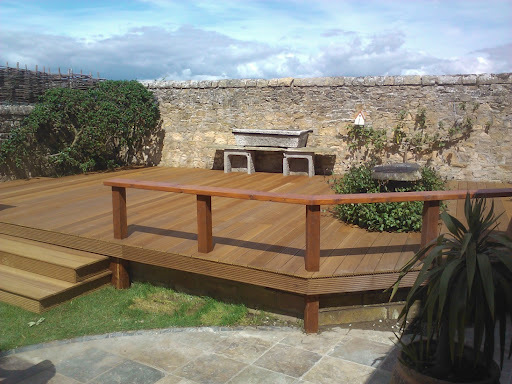 A garden decking project we completed for a client in North Berwick. 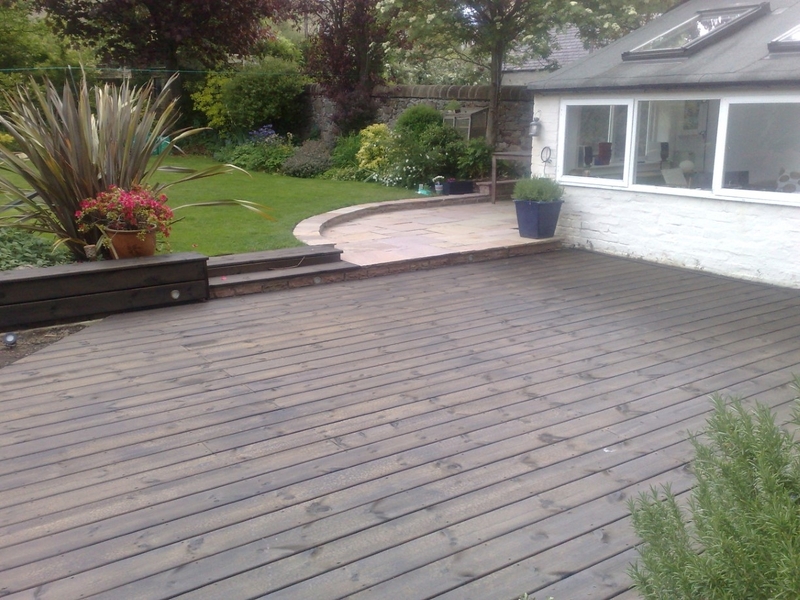 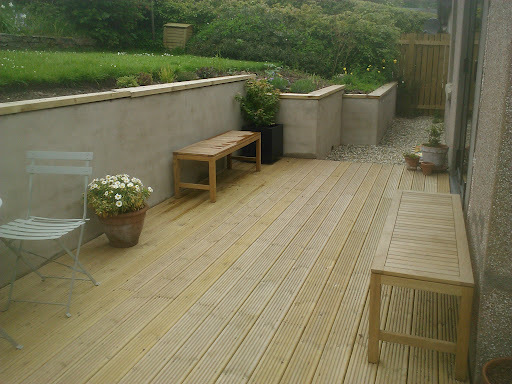 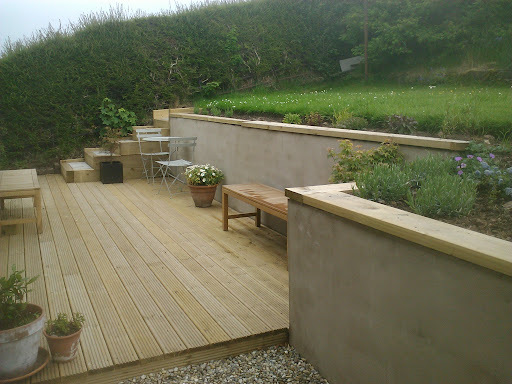 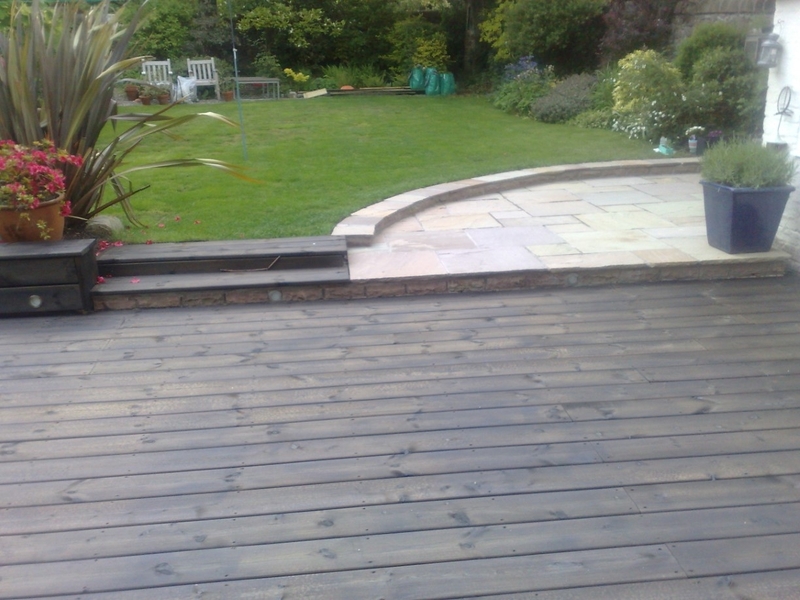 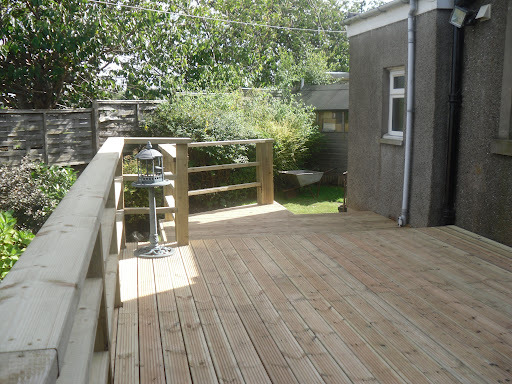 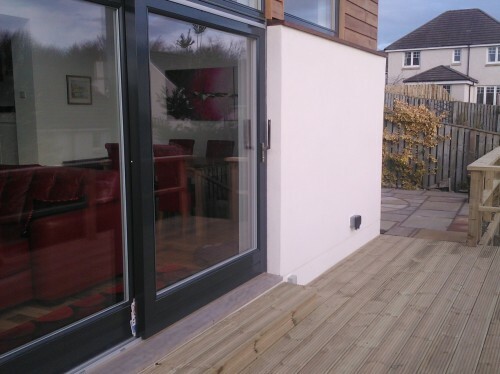 The existing area was a tired old patio that was rejuvanated by overlaying the timber deck. 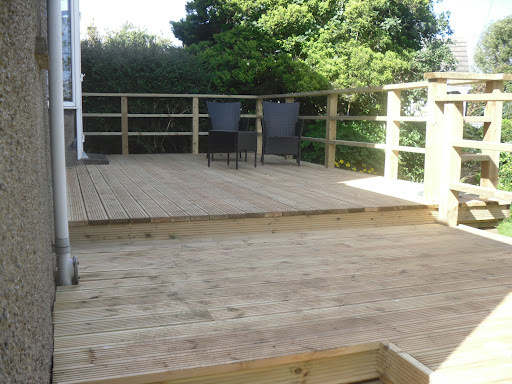 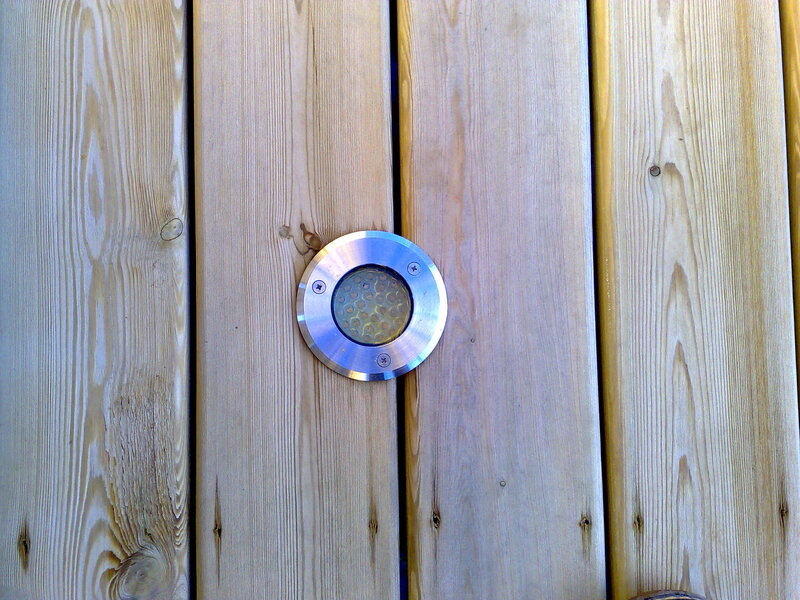 Lighting was installed to the steps and deck to give a pleasing ambience to the timber deck in the evening. 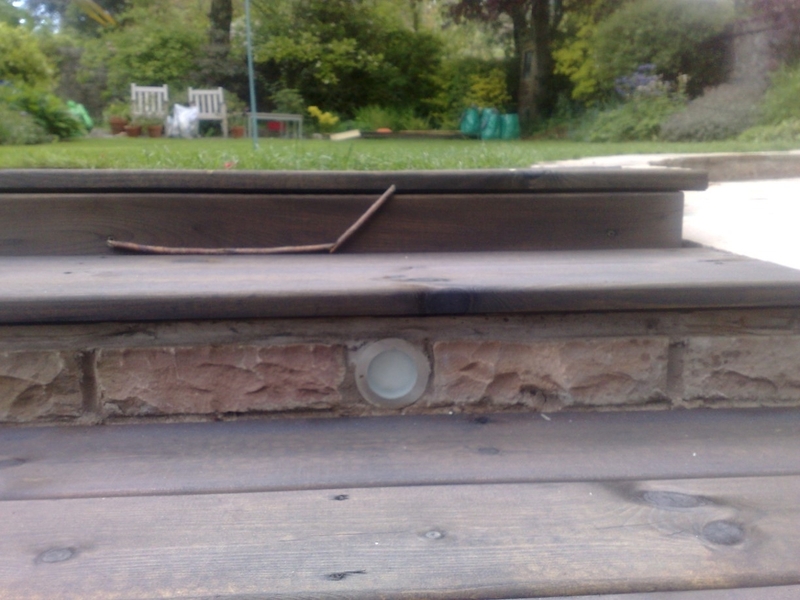 The stone trough viewed to rear of deck is actually a barbecue. 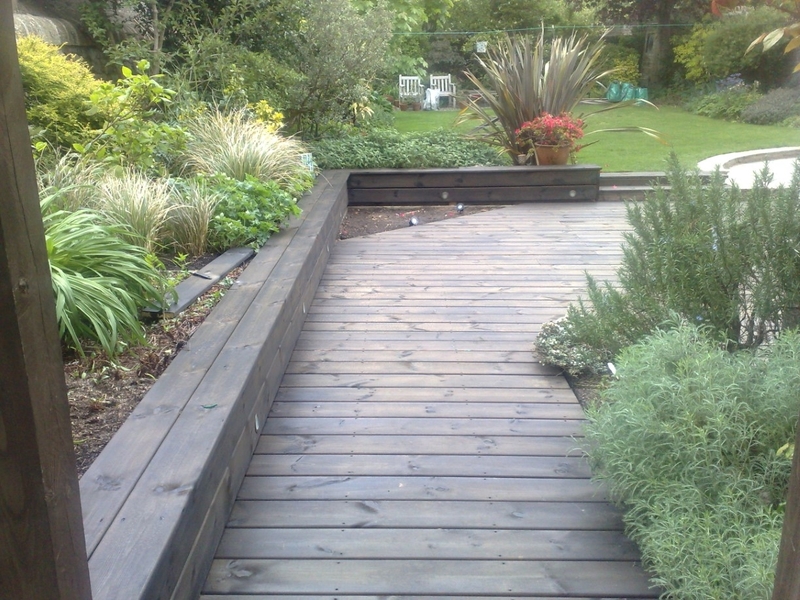 Associated planting to the deck softens the strong lines of the structure. 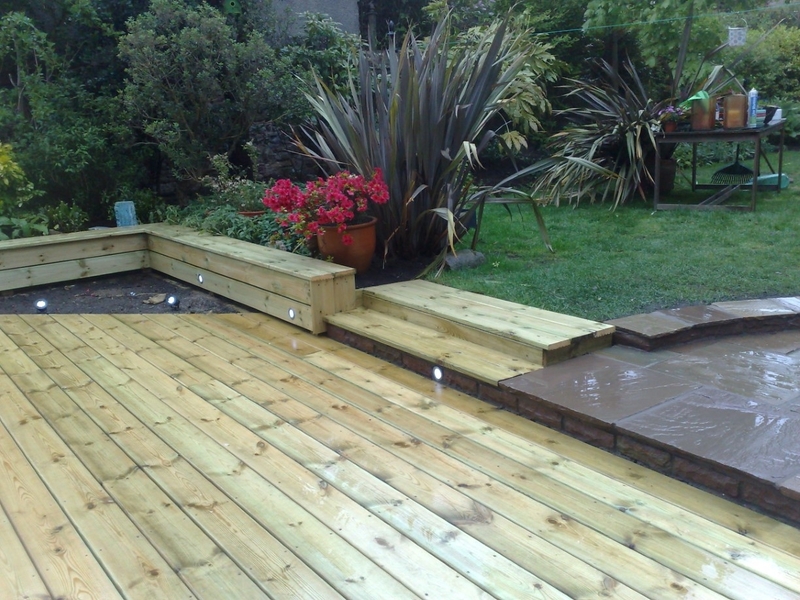 Here’s a before and after sequence. 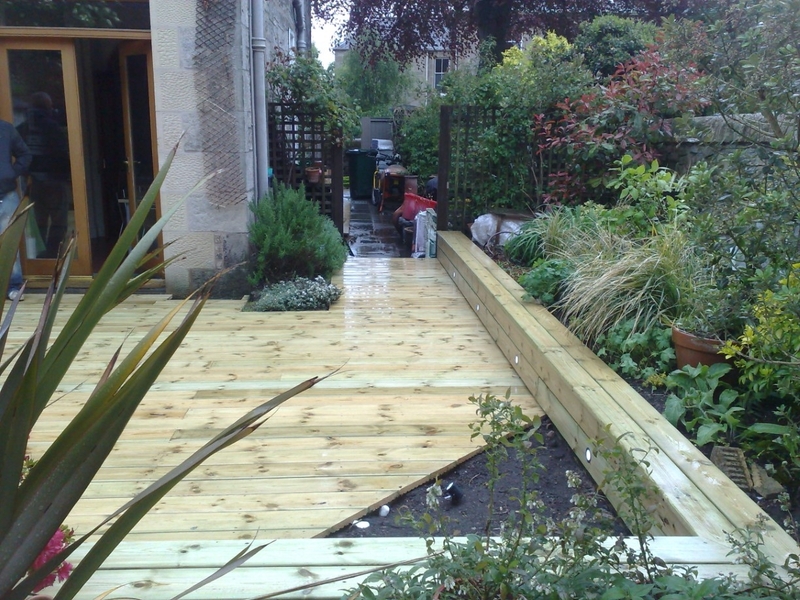 "It will never rain roses: when we want to have more roses we must plant more trees."